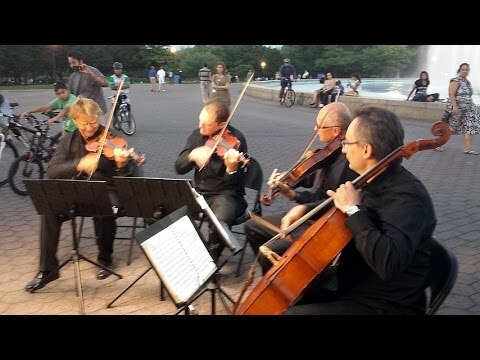 Art-Strings play at US Open 2014! Bitter Sweet Symphony in NYC! Best Classical Quartet in USA & Canada, GigMasters' "Best Of" 2017 - 2012, "Top Classical Quartet" 2016, 2015 & 2014, The Knot "Best of Weddings 2017" and The WeddingWire "Couples' Choice Awards™ 2018". Over 500 REAL online reviews & 300 live music samples online. More than 2 million views on YouTube! Classical, Jazz , Pop, Rock,Broadway & New Age - DUO, TRIO, QUARTET. Custom arrangements and free unlimited consultations. "Better than the Oscar's entertainment!" - Richard Gere. Art-Strings' artistic portfolio includes concert tours in US, England, France, Austria & Switzerland. We used Art-Strings Ensembles for our July 2018 wedding in Huntington, NY. They were easily one of our favorite parts of our wedding day. Our guests really enjoyed the music during our ceremony and cocktail hour too. Alexander was very easy to work with and quickly replied to all communication. They can play essentially anything you request! Their rates are completely fair. We highly recommend booking Art Strings Ensembles for your wedding!! I First heard alex and and his group at a family wedding party .. music was beautiful .. danceable .. high spirited ... I asked for abusiness card .. almost two years later I hired alex and his people to enhance my synagogues annual fundraiser dinner ... alex was estremy business like .. warm and completely accommodating... our dinner was a success .. the music was a hit and enhanced our evening . At the time of planning my daughter’s wedding I had fallen seriously ill. In order to provide normalcy to my crazy situation I insisted that we book Art Strings Ensemble . My daughter assumed they could only play classical music but the crazy girl was shown that the musicians could play several different gendres . The musicians were wonderful and my guests raved on their performance . I had three guests who play violin, clarinet and cello in their orchestras . All were very complimentary on Art Strings Performance . Art-Strings was amazing. They learned two new songs just for me and were so professional and accommodating. Not to mention excellent musicians. I got a lot of complements about them. Including ones from my guests that are professional violinists and orchestral professors. Highly recommend. Talented, professional and worth every penny! Art-Strings Ensembles were just wonderful! Very responsive and flexible with time and music. They were very professional and showed up in matching tuxes, were on time and even moved about throughout their performance due to our indoor/outdoor ceremony/cocktail hour. I loved that they had a lot of contemporary options and most importantly everything was straightforward, no hidden fees or unexpected surprises. If you want that something extra for your wedding, a way to make your event that much more special I HIGHLY recommend them. You will not be disappointed! Mr. Abayev was incredibly professional. He went out of his way to find and play the music I had requested. In addition he found a trumpet player who provided the perfect touch to Wynton Marsalis's version of Eternal Source of Light Devine. The quartet played beautifully. All of my wedding guests complimented their professionalism and talent. "What a wonderful ensemble! They not only played well, but energetically and with great flair. They were truly a joy to listen to. I would recommend them to anyone!" Art Strings was exactly what we wanted for our wedding. They are extremely talented, a complete joy to listen to. Other than 2 songs, we didn't have specific selections we wanted played, and left it up to Alex, who did a wonderful job. Our guests commented on how wonderful an addition the music was to the whole day. 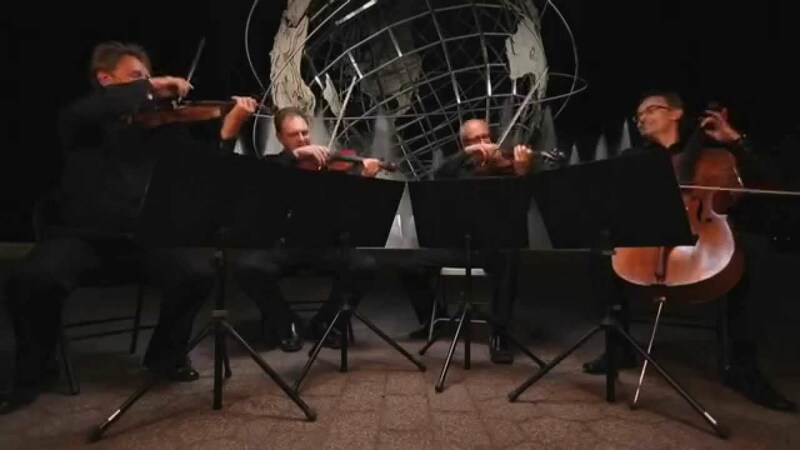 We definitely recommend Art Strings to anyone looking for an elegant addition to a social event. They're fantastic! "Art - Strings Ensembles was hired for our cocktail hour and we got positive feedbacks from our guests. Everyone enjoyed their performance. We were able to listen to them and we definitely liked the music they played. Mr Alex Abayev we thank you for your time we truly enjoyed the music you played. This will be truly memorable for us. We highly recommend you for your great professionalism." I FOUND ART STRINGS ON GIGSALAD WEBSITE. I'M VERY SKEPTICAL OF HIRING OR PURCHASING ANYTHING ONLINE. BUT I WENT WITH MY GUT FEELING AFTER LISTENING TO ART STRINGS ON THE SITE. I MET WITH ALEXANDER AND WAS CONVINCED I FOUND THE RIGHT ENSEMBLE FOR MY WEDDING. THEY PLAYED FOR BOTH THE CEREMONY AND COCKTAIL HOURS. THEY WERE FANTASTIC. THEY WERE VERY PROFESSIONAL, EASY TO WORK WITH. ALEX TOOK THE TIME TO WORK ON AND INCLUDE MUSIC THAT WE LIKED, BUT WERE NOT PART OF THEIR REPERTOIRE. HE LISTED AND KEPT IN CONTACT WITH SUGGESTIONS AND HELP THROUGHOUT THE WEDDING PLANNING. I'M SO VERY HAPPY WITH THE RESULTS. EVERYONE, AND I MEAN EVERYONE WHO ATTENED THE WEDDING RATED ART STRINGS ENSEMBLE ELEGANT, FIRST CLASS, PROFESSIONAL AND AMAZING. I WILL DEFINITELY BE BOOKING ART STRINGS FOR MY 5TH ANNIVERSARY. THANKS AGAIN ALEX WE WERE THRILLED WITH YOUR PERFORMANCE. EVERYONE WHO ATTENDED ARE STILL TALKING ABOUT YOUR PERFORMANCE. Alex and the group were an absolute pleasure to work with. They were responsive to emails, professional and punctual. I would highly recommend them to anyone. Thank you again for making our day even more special! I hired Art-Strings to play at my surprise proposal, and they did an absolutely perfect job! They were very accommodating, played beautifully, and helped to create an unforgettable experience. Once we set our wedding date, one of the first things I did was book them again for the wedding! "Just wanted to thank Alexander and Art Strings for doing a great job at my wedding. The professionalism and performance was excellent. It was a pleasure working with Alexander to put together a setlist and he was accommodating to a special request. To have a live orchestra at the wedding was a wonderful suprise for my wife who was expecting to walk down the aisle to a CD and the actual Art Strings performance itself made it even better. Thanks." Absolute professionals! Alexander was so very helpful in choosing songs for the ceremony and was also wonderful in choosing the repetoire during the cocktail hour. My guests raved and we both were very happy with their service. I would recommend them to anyone and will most definitely use them again if the occasion ever calls for it! "Alexander was very accommodating, sending samples of specific songs and musical pieces. The performance was fantastic...gave me chills. I WILL recommend Art Strings to everyone I know. They truly had an impact on the feeling of our ceremony." were accommodating, reasonably priced, and sounded great! Art-Strings Ensembles was a hit at our ceremony! Everyone I spoke to raved about how wonderful their performance was! I will not only refer them to friends/family, but also will not hesitate to hire them again for an event of my own! We were delighted to have Art-Strings play at our wedding at Vineyard Caterers in Aquebogue, NY. We chose an assortment of classical pieces for our ceremony and they played with such incredible beauty, it was absolutely wonderful. We were so happy with our choice to use Art-Strings! Art Strings was extremely helpful and accommodating in performing music for our wedding ceremony. All of the music had to be from a specific selection, and needed to sound like the originals, and everything sounded even better than I could have imagined. Alexander's communication was excellent. Since the wedding, everyone at our wedding has raved about the music. Thank you Alexander!" There aren't words profound enough to describe how happy we are with Alex and Art-Strings. They exceeded our every expectation. The only regret we have is not hiring them for longer!!! We will absolutely recommend them to everyone. Our guests could not stop talking about not only how wonderful they sounded, but what an elegant and classy touch they provided. They raved about the music and how perfect the sound was. Thank you Alex, you are amazing!!! We had an amazing experience with Art-Strings. We would highly recommend them. They were extremely professional and easy to work with. They played for our entire wedding reception and all of the guests enjoyed their performance. They were FANTASTIC!!!!! "art strings was amazing! from the immediate responses via email, to learning music for our wedding, to the utmost professionalism. GREAT JOB!!!" 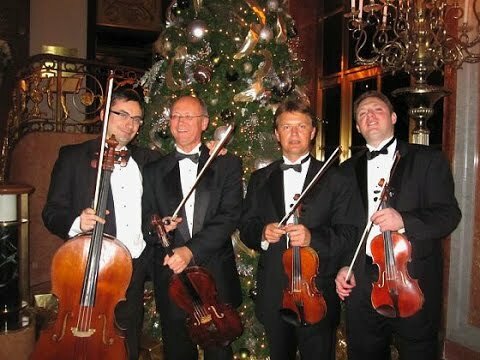 Art-Strings Ensembles will provide unique and classy music entertainment for your special occasion. Wide variety of different music styles by select professionals. Custom arrangements for your very special day - jazz, rock, Broadway - we play it all. Art-Strings' artistic portfolio includes concerts in US, England, France, Austria & Switzerland. The Art-Strings Ensemble's concert activities include chamber music concert series, single concerts, recordings and live broadcasts. WE OFFER Piano & String Classical & Jazz Ensembles, Jazz Trio, Trumpet, Saxophone, Harp, Flute and a Chamber Orchestra. 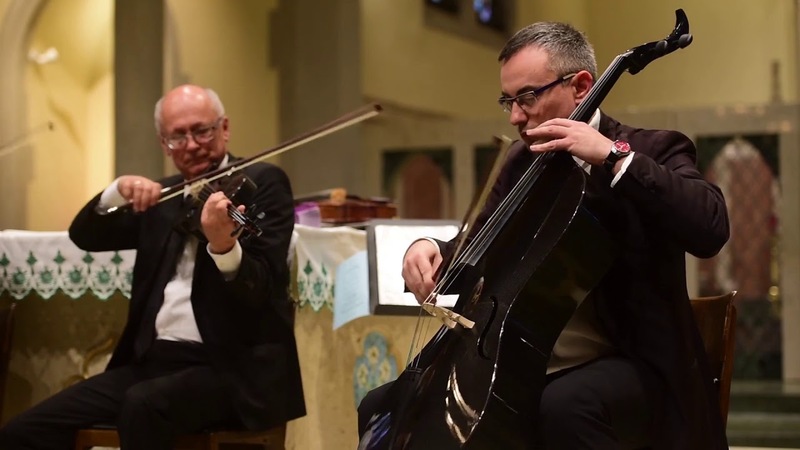 WE PERFORM A WIDE VARIETY OF STYLES - from Sacred Music of Baroque & Classical Standards to Jazz & Broadway Favorites, Love Songs and Folk tunes. Our musicians have provided music entertainment for corporate businesses and VIP clients. Among them - United Nations, Mercedes Benz, Citibank, Merrill Lynch & Co as well as Lady Gaga's manager Vincent Herbert, Estee Lauder, Richard Gere, Sarah Jessica Parker, Clive Christian and many others. We deliver the quality of our performances from the most prestigious concert halls straight to you, making your event a very special one. We constantly improve and expand our repertoire. WE WILL ARRANGE ANY MUSICAL SELECTION upon request including the latest releases! Depending on the nature of your event and its budget, we can help you choose BEST ENSEMBLE'S COMBINATION FOR YOU. We offer unique modern music arrangements - we play it all! Bizet Habanera from opera "Carmen"
Bizet Overture from opera "Carmen"
Art-Strings Ensemble set the elegant mood I was looking for for my wedding. All my guests had nothing but compliments for how wonderful they sounded and looked! Thanks for making my wedding a little bit more memorable and special! Alexander and Art-Strings Ensembles made our wedding mass absolutely amazing... From the get go, Alexander was very attentive in helping me select my music and accommodating with my special requests...I walked down the aisle to "All I Want Is You", by U2. They learned it and did an incredible job with the song... All my guests talked about how wonderful they sounded. I am so thrilled with their performance and professionalism; they really added a romantic and special touch to our mass. They went above and beyond of what I expected. I highly recommend them, you will truly be overjoyed!!! They were wonderful, they definitely added a level of class and elegance to my event. Alexander was great to work with. He gave great suggestions. I don't know how anyone could go wrong with them. I was definitely satisfied, and would definitely use them again. Art String Ensembles team are very professional. They performed at my wedding ceremony and cocktail hour and the music was AMAZING. I had special requested the music for my entrance soundtrack from the movie "Ever After" and I had chills when i heard the music... It was more than I expected... BEAUTIFUL AND PERFECT! I highly recommend Art String Ensembles for any event. Alex was very professional and very accomodating. Thank you very much guys, you made my wedding ceremony very special and very emotional. EVERYBODY LOVED IT. I hired Art-Strings to play at my surprise proposal, and they did an absolutely perfect job! They were very accommodating, played beautifully, and helped to create an unforgettable experience. As soon as we set a wedding date and find a location, the first thing I'll do is book them again for the wedding! Just wanted to thank Alexander and Art Strings for doing a great job at my wedding. The professionalism and performance was excellent. It was a pleasure working with Alexander to put together a setlist and he was accommodating to a special request. To have a live orchestra at the wedding was a wonderful suprise for my wife who was expecting to walk down the aisle to a CD and the actual Art Strings performance itself made it even better. Thanks. Absolutely wonderful. They made our small, intimate wedding even more special. Exactly what we were looking for. Alex was very professional and helpful in picking the right music for our ceremony. We would definitely use them again for a special event. Art Strings was prompt, professional and delighted our guests with the music. We selected specific songs for the ceremony, the were played perfectly! In addition, the cocktail hour required a shift in rooms, while the outside space was transformed and they easily relocated to the lobby while that happened and played on! The selection of music played during the cocktail hour was well received by all of our guests. 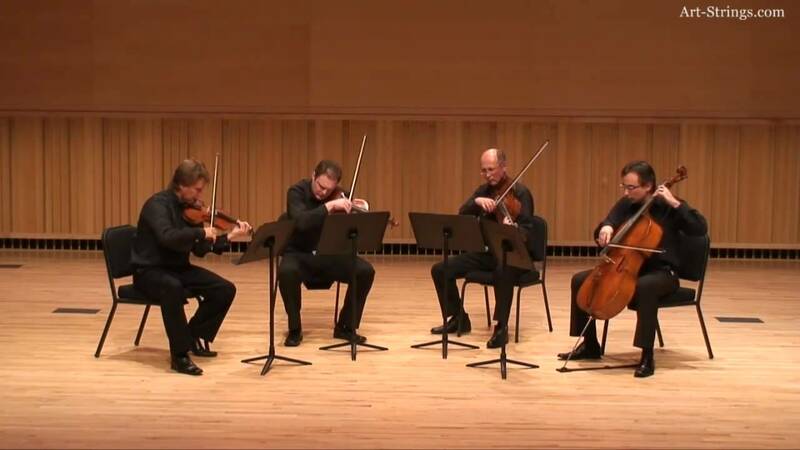 Truly a wonderful ensemble - we would recommend them for your next event. Really tremendous job. Their performance at our wedding was fabulous. Art-Strings have given us a memorable wedding ceremony. Everyone loved the music and Alex helped me select a fabulous repertoire. I can't say enough how great the music sounded. From beginning to end, they were very easy to work with and open to all of my suggestions. I would love to work with them again. My husband and I are extremely happy with Art Strings. Alex has helped us a lot in making our bridal song selections. They have a great website too which housed several of their pieces - so you can actually hear how the song will be played on your weddng day. That was a feature which helped us make our decision. They all came dressed professionally and right on time. About a week before, we had to change the timing of their performance and they accomodated us without any problems. Everyone was so impressed with the talents of the musicians. Mr. Abayev was more than accommodating with my special requests. He went above and beyond to make the arrangements sound perfect for our special day. I would recommend Art Strings Ensembles to anyone who wants their special day to be truly magical. Thank you again Mr. Abayev! Art-Strings obviously are accomplished musicians and presented our Elementary School students with a fine introduction to stringed instruments. They mixed humor with their presentation and engaged the audience in an effective way to hold eveyone's attention. We will happily contract them again. It was wonderful working with Alex on the music for our wedding ceremony. The amazing performance really set the tone for our day and our guests are still talking about it! The ensemble really breathed together and their musicality was great. You won't regret booking Art-Strings for your own event! Art Strings was extremely helpful and accommodating in performing music for our wedding ceremony. All of the music had to be from a specific selection, and needed to sound like the originals, and everything sounded even better than I could have imagined. Alexander's communication was excellent. In the past two weeks, everyone at our wedding has raved about the music. Thank you Alexander!